Until then, no one will be satisfied. Democrats are right. The validity of the 2016 presidential contest is in question. Until we get to the bottom of what the FBI was up to during the election, questions about it will fester and further degrade trust in the institution. The notion peddled by Democrats over the past few days, that releasing House Intelligence Committee Chairman Devin Nunes’s memo would irreparably damage national security, has been proven absurd. There’s no reason the public shouldn’t have an accounting of what went on. And there’s no reason an investigation into the FBI’s actions should undermine Robert Mueller’s investigation into Russian collusion — or whatever he’s looking into at this point (even if this is the purpose of some GOP partisans). It might even insulate it. I’m not a fan of special investigators, as they’re often imbued with wide-ranging powers they don’t deserve, but there are a number of reasons both sides could support such a move. In the long run, a narrow, independent inquiry into the FBI and potential FISA abuse might even marginally de-politicize the fiasco, by either ferreting out abuse or clearing the FBI’s leadership. As it stands, there’s no way the institution can regain trust with about half the country. Perhaps it’ll turn out that everything the FBI did was legal and by-the-book. Right now, though, to millions of Americans, it looks a lot like one political party paid for opposition research, then handed that unverified and often sensationalistic “evidence” to an allied administration, which then used it to attain a warrant so it could continue to spy on political opponents (knowing full well it would capture others in the campaign). If you’re rich enough to cook up a “dossier” and powerful enough to know the right people, you too can have the government spy for you. That’s what it looks like. Change the affiliations of players involved, and ask yourself if that’s a precedent you’re comfortable with. It’s worth remembering, also, that the FBI stonewalled the oversight committee for months, so one imagines there’s much more to see. Even with a dump of the underlying documents — which should certainly happen — the Nunes memo creates many questions that might not be fully answered even after the competing memos and evidence are released. The Nunes memo claims that the dossier was “an essential” part of the FBI and Department of Justice’s FISA application. What does that mean? Republicans claim that former FBI Deputy Director Andrew McCabe told a congressional committee that these federal agencies would not have sought the FISA warrant without the Steele dossier information. Democrats claim that is untrue. It’s fair to ask if officials misled or omitted vital information when obtaining their warrants. Did the FBI have an ethical or legal obligation to disclose that the information they provided to a judge was paid for by the political opposition and that the author of the oppo research, Christopher Steele, had a fiscal and ideological reason to peddle it? Did the FBI have a responsibility to tell the judge that Bruce Ohr, who worked for the DOJ on the case, was the husband of Nellie Ohr, who worked for the dossier’s generators in Fusion GPS? According to the memo, “Steele told Ohr that he, Steele, was desperate that Donald Trump not get elected president and was passionate about him not becoming president.” Did they have an obligation to let the court know that most of what they had received from that source they had found was untrue or unverified? Did the FBI let them know? All those conflicting contentions matter, because the dossier was a political creation that in many ways sparked the public interest that led to a Russian investigation that has already had huge political ramifications. Maybe a campaign that hires and associates with people like Page and George Papadopoulos deserves disparagement, but they don’t deserve to be stripped of the legal protections other American citizens enjoy. Then again, maybe we don’t enjoy them. If the Obama administration felt this comfortable spying on the opposing political campaign, how easy do you think it is for the FBI to spy on an average American? All those Republicans who voted to renew Section 702 of the Foreign Intelligence Surveillance Act a few weeks ago might want to take a minute to mull that question over. The rejection rate of the FISA court stands at around 0.03 percent, historically, so perhaps this indicates a broader problem. There are other less obvious reasons to support an investigation. Yesterday, CNN reported that Trump was telling confidants — who, I guess, decided to share this information with the president’s arch media foes — that he wanted the memo to discredit the Russia investigation and create an excuse to fire Deputy Attorney General Rod Rosenstein so he could install someone who would fire Mueller. It’s plausible. An independent investigation allows Rosenstein to show that he’s serious about these concerns. What excuse does Trump use to fire him, then? An investigation led by some stellar law enforcement vet might also find that Nunes and Republicans created this memo for no other reason than to mislead the American people and protect Trump from Mueller. Let’s find out. 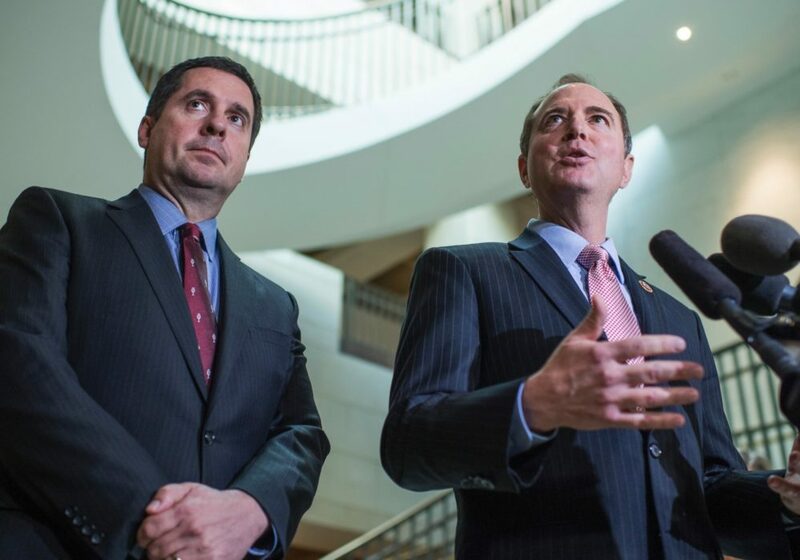 Right now, both Nunes and his Democrat counterpart, Rep. Adam Schiff, are acting like ham-fisted partisans. Some people, of course, will never be satisfied. But no one is going to be content as things stand now.